No matter what functional background you have — strategy, marketing, engineering, or operations — you'll learn concepts around accounting in a straightforward, easy-to-grasp manner, enabling you to use finance instruments to add value when your company makes growth and strategic allocation decisions. The program concludes with a Capstone Case Discussion where you apply what you've learned to assess your company's performance following a financial crisis. Academic Director Richard Lambert says this program will teach you how to think in financial terms. Program Overview: Adjunct Professor of Accounting Peggy Bishop Lane talks about what’s covered in the program. Adjunct Professor of Accounting Peggy Bishop Lane explains how the guided review sessions work. Your understanding and retention of classroom material is reinforced with guided review sessions. Led by Adjunct Professor of Accounting Peggy Bishop Lane, who also serves as vice dean of Wharton’s MBA Program for Executives, these sessions will be held in the evening during the first three days of the program, and are completely optional for participants to join. These review sessions will give you an opportunity to dive more deeply into the program material, get answers to your specific accounting questions, and get more practice in performing key calculations. For example, because the program includes calculating net present value, and value income and payments, Professor Lane will guide participants with additional practice in performing these calculations. These review sessions also help participants begin to apply what they are learning to their organizations. Learning Experience: The classroom dynamic is quite robust, says Adjunct Accounting Professor Peggy Bishop Lane. Are you already familiar with basic accounting terms and need more advanced finance skills? Wharton Finance for Executives provides more insight on how to evaluate the impact of financial decisions. Participants in this program are managers from virtually every non-finance area, says Adjunct Accounting Professor Peggy Bishop Lane. What is the difference between net income and operating cash flow? These are two widely used measures of financial performance. Net income is the profit of the company for a period. It’s the revenues the firm brings in minus the expenses used to help generate those revenues. Calculating revenues and expense often involves significant judgment and estimation. This can make them more vulnerable to manipulation. Operating cash flow is about liquidity — it looks only at the inflows and outflows of cash this period — so it’s more objective than net income, but it’s also more narrow in its focus. It’s more like keeping track of your checking account. 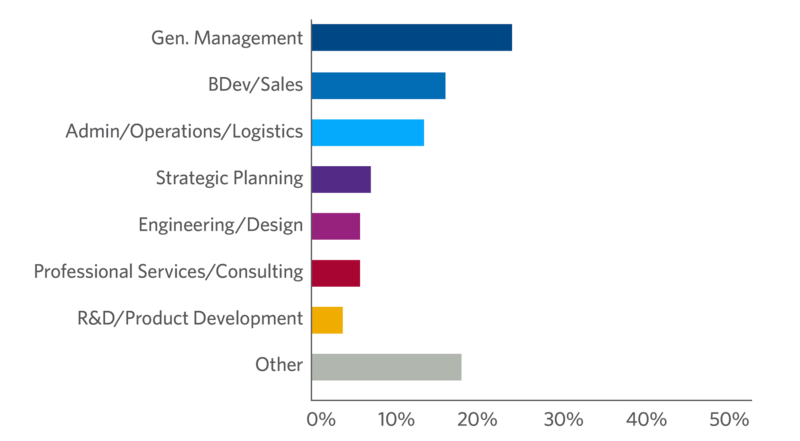 Moreover, operating cash flow only looks at a subset of the cash activities of the firm. It ignores any cash you received or spent on investing activities, like buying property, plant, and equipment. It also ignores any cash you received or spent on financing activities — like issuing stock or bonds or paying dividends. 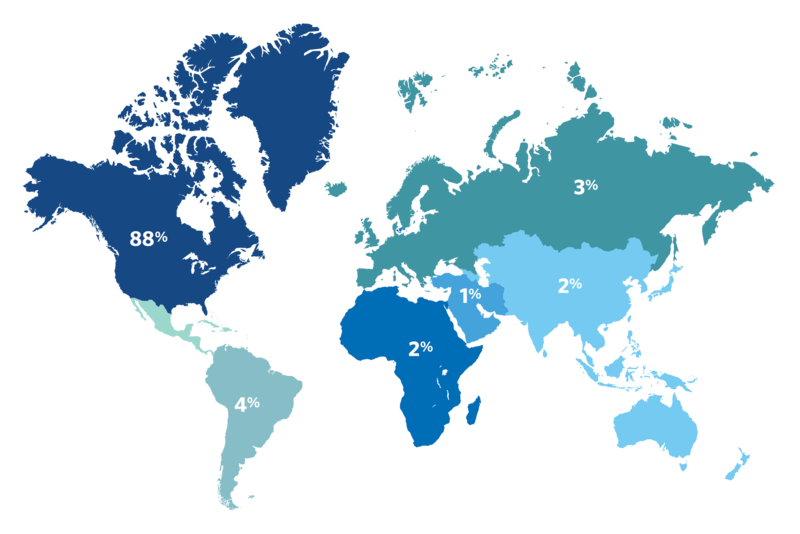 Operating cash flow is not a measure of profitability because it excludes many of the important costs necessary to generate revenues and earn profits. What is the difference between an income statement and a cash flow statement? These are both important — they tell you related, but different things. An income statement presents a much more comprehensive measure of a firm’s performance than does a cash flow statement. It also requires more judgment and subjectivity to put it together. A cash flow statement is like your checking account statement. It tells you how much your cash balance went up or down. Obviously, running out of cash would be a bad thing! By classifying the inflows and outflows into categories — like operating vs. investing vs. financing cash flows, the cash flow statement can provide important information about where you’re getting your cash and how you’re spending it. But the cash flow statement only looks at economic activities that actually generated or used cash this period. This misses a lot of important things. An income statement tries to look more broadly. Income, or profit, is defined as the difference between revenues and expenses. For example, revenues will include cash sales, but they will count a credit sale that we expect to collect next year. The cost of a building will get spread out over its useful life. But estimating the likelihood a credit sale will actually be collected and estimating how long the building will last can require significant judgment. This makes the income statement much more subjective than the cash flow statement, but potentially gives a broader picture of how the company is doing. What is included in a quality of earnings report? A quality of earnings report is a detailed examination of the specific line items in a firm’s income statement or earnings report. It looks for items of “low quality.” This refers to components of earnings that are “one-time things” or “non-recurring things.” It also tries to identify earnings that are coming from “accounting trickery” or “overly optimistic assumptions” that have little basis in reality. The first is sustainability or repeatability. You’d rather have a dollar of earnings that will repeat over time than a one-time transaction. Therefore, revenues that come from a long-term contract or from a licensing agreement are considered to be of higher quality than a one-time gain from an investment sale or a one-time write-down in the value of an asset. The latter are viewed to be lower quality earnings. The second is believability. The calculation of earnings can involve many estimates and assumptions. Earnings based on fewer assumptions or more believable assumptions are of higher quality. For example, a dollar of earnings that is in the form of cash is of higher quality because it’s more believable than a dollar of earnings that you hope will turn into cash. Earnings that come from unrealistic accounting assumptions or changes in accounting assumptions that aren’t justified by the true circumstances are deemed to be of low quality. What are the common methods of valuation? There are three common methods of valuation. Each has pluses and minuses. The most straightforward method is to look up the market price of similar items that have been bought or sold recently. This works best in situations where there is an active market and where the items traded are very similar, ideally identical, to the one we want to value. A second method is a variation on the first, and is specific to valuing firms. This is referred to as a multiples-based approach to valuation. Here we select a performance measure for our firm and figure out what firms with similar levels of performance are selling for. For example, we might look at the earnings per share of the firm, and determine that similar firms — say firms in the same industry who are growing at approximately the same rate — are selling for 10 times their earnings. We’d then estimate that the value of our firm is 10 times our earnings. Like the first method, this method also relies on finding good comparables, and it puts a lot of faith in that one measure of performance we’re using. The last approach is the theoretically most correct, but is often the hardest to do. This is called the present value or discounted cash flow method. It requires you to estimate the future cash flows that the asset, liability, or security will generate, and then value this stream of cash flows by discounting each one to the present at an appropriate rate of interest. This is the hardest part of employing this method; estimating the stream of future cash flows that a firm or a new venture will generate — especially those far into the future — is obviously a challenging task! How is the value of a company calculated? Valuing a firm is extremely difficult to do well. Firms are complicated entities — engaging in many activities that we only get limited information about. Moreover, firms last an indefinite length of time; most of their important value-creating activities haven’t even happened yet! I’ll discuss two common methods of valuation. Each has pluses and minuses. The first is referred to as a multiples-based approach to valuation. This is easier, but that’s also its biggest weakness — it’s too simple to capture many of the potentially relevant factors that should affect a firm’s value. Here we select a performance measure for our firm that we hope is representative of its future performance, and then we figure out what firms with similar levels of performance are selling for. For example, we might look at the earnings per share of the firm, and determine that similar firms — say firms in the same industry who are growing at approximately the same rate — are selling for 10 times their earnings. We’d then estimate that the value of our firm is 10 times our earnings. This method relies on finding good comparison firms, and it puts a lot of faith in that one measure of performance we’re using. Some people prefer to use the firm’s earnings, others prefer its revenue, and many people like to use performance measures that are in between these — like EBITDA (or earnings before interest, taxes, depreciation, and amortization). The second approach is the theoretically more correct, but is much harder to do. This is called the present value or discounted cash flow method. It is based on the idea that the value of the firm today is the present value of the cash flows the firm will generate in the future. In principle, this means forecasting the firm’s cash flows for an indefinite period — possibly decades — out into the future. As this is impractical to do, it’s more common to first forecast the firm’s future cash flows over a finite and relatively short period of time — like the next three to seven years. Then we add a “terminal value” that is based on simpler assumptions about how the firm will grow in the long term. The accuracy of this approach depends on how good our forecasts are. What is the difference between management accounting and cost accounting? Management accounting refers to information that the accounting system generates for use by management, as opposed to the information reported to those outside the firm, like shareholders or creditors. Management accounting information is typically much more detailed than the reports provided to outsiders. In particular, management needs to know more about the performance of the specific parts of the company so that they can make more informed resource allocation and pricing decisions. Cost accounting is more narrow — it focuses on information regarding the costs of providing specific goods and services or running departments and divisions within the firm. It is used in both financial reporting to outsiders as well as internally by managers. For external reports, its primary purpose is to calculate the value of inventories on the balance sheet and the cost of goods sold on the income statement. Internally, it does the same thing, but provides much more detail. Academic Director Richard A. Lambert on Wharton’s finance faculty. The final course I took to earn my Certificate of Professional Development (CPD) from Wharton was Finance and Accounting for Non-Financial Managers. A core thing I learned was a better understanding of net present value. I remember a professor saying that the difference between a regular college student versus a Wharton undergrad is they leave understanding net present value. He said that can be the difference between earning a five-digit salary and a six-digit salary. That really stuck with me. 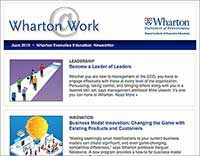 If you're looking at being an entrepreneur as well as looking at new opportunities in other companies and industries, the Wharton School is for you. Understanding the value of cash now versus the future is definitely something that will come into play in my business and personal life. It’s good for managers to take the Finance and Accounting for the Non-Financial Manager class so they can understand more about what the controllers and accountants in their companies are going through — it really opened my eyes. 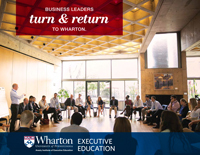 As someone who has earned a CPD, I would highly recommend Wharton’s programs." As my organization’s engagement officer, I support our field staff who work directly with schools and our university partners across the country. Immediately after finishing Wharton’s Finance and Accounting for the Non-Financial Manager program, I participated at a much higher level in discussions with our CFO, CEO, and other leaders. We are growing rapidly, going from 49 staff to 150 in three years, and while that’s exciting, we have to make really smart decisions about how to allocate resources. As a former teacher, school administrator, and district administrator, I had budgetary responsibilities, but I didn’t understand cost of goods sold, how to book assets, or how research and development fits into the financing and accounting side of an organization. Wharton improved my understanding of valuation and cash flow, how to capitalize assets, and how to depreciate elements when we are making big decisions about growth and resources. This learning is very relevant to the work I do every day as a senior leader for my organization.